Mahindra XUV500 variants, W6 or W8 model? Mahindra XUV500: Should you buy the W6 or the W8? 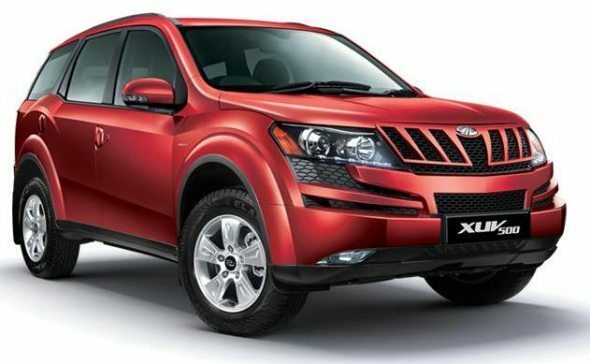 The Mahindra XUV500, when introduced, gave all the other players in its price segment and above it a run for their money because of the sheer number of features the three variants launched provided. Prices ranged from Rs. 10.65 lakh for the base W6 variant to Rs. 11.95 lakh for the fully loaded W8 two-wheel drive variant and Rs. 12.99 lakh for the top-end all-wheel drive W8 variant. Prices have gone up my more than Rs. 1 lakh on the base variant since then, but it is still great value for money compared with other vehicles such as the Force One, Tata Aria or Tata Safari, and is again a winner on the value front compared to vehicles such as the Toyota Fortuner. But within the XUV500 list of variants, between the W6 and the W8, which variant suits a buyer’s needs more? Here’s a look at the two. Externally, the W6 and W8 variants look virtually identical, with the only thing that tells them apart being the inclusion of alloy wheels on the W8 variant. Buyers of the W6 variant have the option of adding alloy wheels to the vehicle for a charge of Rs. 24,000. The W6 buyer also gets a choice of two alloy wheel patterns – one exactly like the W8 and another that has a black and chrome sporty look. On the interiors, the W6 looks a little toned down compared to the W8. It has fabric seats compared to the W8’s leather interior. The infotainment screen is also a monochrome screen compared to the color display on the W8. Buyers who want the look of the XUV alone, and not really keen on additional features, are better off buying the W6 and adding alloy wheels to it. The XUV500 W6 and the W8 are fairly well loaded. But there are key differences which make the XUV500 W8 stand out. The W8 gets six airbags compared to just two in the W6. Then there’s the color infotainment screen with GPS navigation. It also gets an electronic stability program and hill descent control, which is a key safety feature missing in the W6, and then there are some convenience features such as automatic power-folding mirrors. Almost all other features are common to both, such as front and rear fog lamps, automatic climate control, Bluetooth, ABS and parking sensors. The W8 variant also gets leather upholstery which feels a lot better than the fabric seats on the W6 variant. If you want maximum features and don’t want to compromise on safety, pick the W8 variant. Both the XUV500 variant W6 and W8 are powered by a 2.2-litre diesel engine with 140 bhp of power and 330 Nm of torque through a six-speed manual transmission. The suspension setup is slightly stiff and does tend to bounce around a bit. However, between the two, the W8 is better because it has a “roll-over mitigation” electronic stability program that cuts power to the wheels when the vehicle begins to skid and allows you to accelerate only when the vehicle is back in control. This is a key safety feature, which also aids in better handling. The all-wheel drive variant also has the additional benefit of being able to transfer power to the rear-wheels when needed and the ability to constantly power all four wheels for mild off-road use. If you want better and safer handling, pick the W8 variant of the XUV500. And if you want mild off-road abilities, pick the all-wheel drive variant. The W6 variant of the XUV500 is priced at Rs. 11.59 lakh ex-showroom Delhi, while the top-end W8 two-wheel drive variant is at Rs. 13.05 lakh, a difference of Rs. 1.46 lakh. The W6 has the basic safety features one would need such as two airbags and ABS. The lack of an electronic stability program is a concern for those who venture out on the highway a lot, but for primarily city/urban use, it’s not going to be felt. The W6 variant is a good value-for-money XUV500 for those on a tight budget. If you can afford it, go for the W8, as it doesn’t hurt to have those extra features. Overall, if you are looking at the XUV500 purely for its looks, the W6 variant is good enough, as you can add alloys and make it look exactly like the W8. It’s also good value for those on a budget who want an XUV500 primarily for city use. However, if you are a buyer who would do long distances with the vehicle it’s better to buy the W8 variant as the additional safety features are better for highway trips.